Now that winter has brutishly arrived with a 20 inch snow! 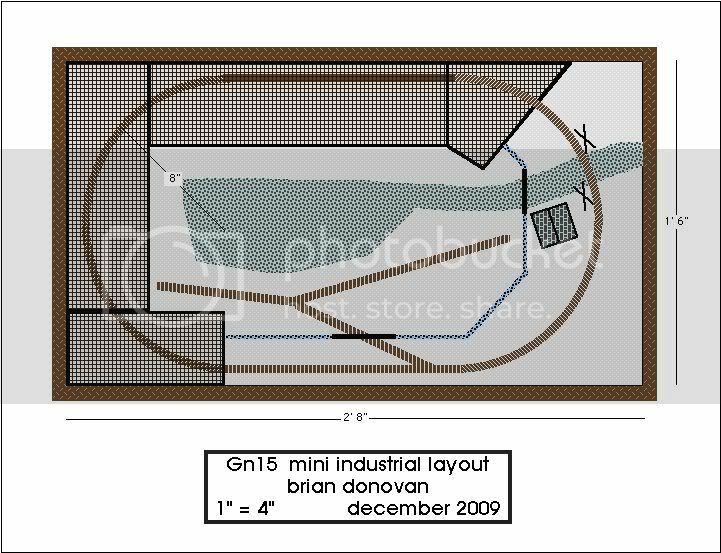 I'm thinking about starting a Gn15 mini layout. I would be a small oval with a couple of switches in an industrial setting. I have a Bachmann On30 gas mechanical and Steve's upscale kit and a few cars to start. I have picked up a few sections of Peco On30 track and a couple of Atlas snap track switches. What is a good minimum running radius for this critter? Thanks. Info on the Davenport but not the side rod loco. Is it the same? altterrain wrote: Thanks. Info on the Davenport but not the side rod loco. Is it the same? Oops, sorry. Must be adding a bit too much Wild Turkey to my egg nog! altterrain wrote: Oops, sorry. Must be adding a bit too much Wild Turkey to my egg nog! Interests: Mainly into N Scale, but starting to like the larger scales. So is there a certain era or location you're thinking about? Is it going to be a prototype, or just wing it? I'm thinking a 50s/early 60s time frame, grungy downtown industrial area. That's cool... I like the ones where you get a different scene from different angles. Now this sounds like something interesting.